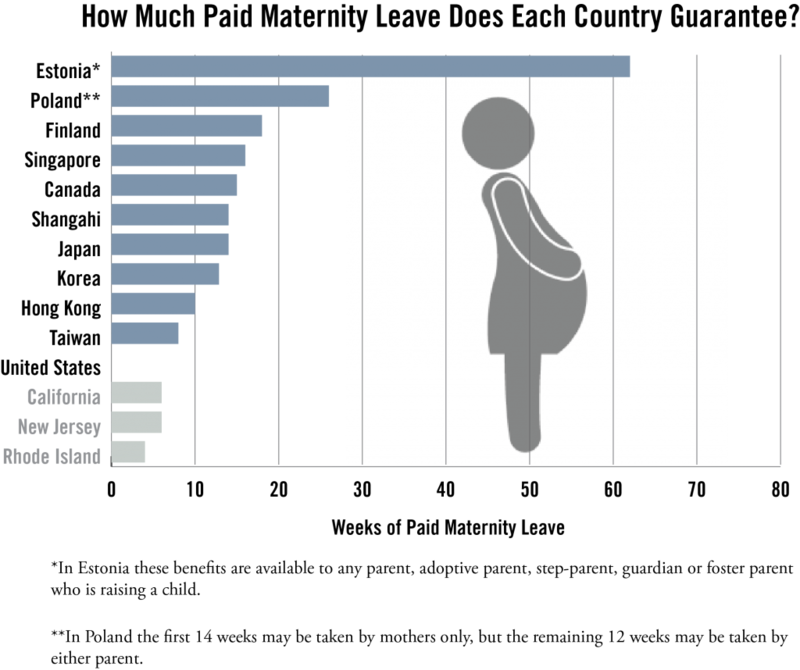 Scooper - Technology News: What effect does paid maternity leave have on infant mortality? What effect does paid maternity leave have on infant mortality? For each additional month of paid maternity leave offered in low- and middle-income countries, infant mortality is reduced by 13 percent. “A significant number of countries where the vast majority of maternal and child deaths occur provide less than 12 weeks of paid leave to new mothers,” says Arijit Nandi, assistant professor in the epidemiology, biostatistics, and occupational health departments at McGill University and lead author of a study published in PLOS Medicine . To carry out their analysis, researchers used statistics on approximately 300,000 children born over a period of eight years in 20 low- and middle-income countries in Africa, Asia, and Latin America, and combined that data with information on government maternity leave policies in those countries. They teased out the effects of lengthening paid maternity leave by comparing infant mortality rates in countries that expanded benefits with rates in countries where policies remained the same. After controlling for variables such as gross domestic product and per capita spending on health, the findings showed that adding just one month to the length of paid leave prevents about 8 infant deaths per 1,000 live births, equivalent to a 13 percent reduction in mortality. The most significant life-saving effect of extending paid maternity leave occurs during the post-neonatal period, when babies range in age from about one month to one year. Paid maternity leave, with its guarantee of income and job security, may reduce a woman’s stress level, a known risk factor in preterm birth and low birth weight.Some policies permit time off as the due date approaches and that may allow expectant mothers easier access to third-trimester care.After her child is born, a mother on paid leave may have more time to seek medical attention and care for an ill child.A woman who takes time off from work at that point may be more likely to continue breastfeeding and to ensure that her baby receives vaccinations, both of which are important factors in infant health. Worldwide, 188 countries guarantee paid leave of some sort for new mothers. Only a few have no paid maternity leave mandate at all. They include Papua New Guinea, Suriname, and the United States. “While this study focuses on low- and middle-income countries, the impact in high-income countries is also well demonstrated,” says study coauthor Jody Heymann, formerly of McGill and now dean of the Fielding School of Public Health at the University of California, Los Angeles. In Canada as well as in many European countries, a new mother is entitled to up to one year of paid time off. “We plan to document the effects of paid maternity leave on women’s outcomes, including their labor force participation, health, and well-being, as well as the implications of paternal leave policies,” says Nandi. The Canadian Institutes of Health Research, the Canada Research Chairs program, the Fonds de recherche du Québec -Santé (FRQS), and the Ministére de la Santé et des Services sociaux du Québec funded the work.